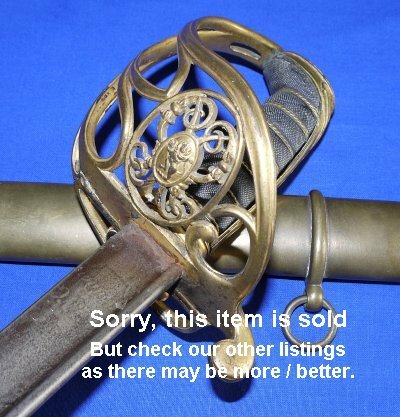 In sound condition, a rare George IV 1822 Pattern East India Company senior infantry field officer's sword. With a rare EIC lion crest / cypher within the unmistakable cursive George IV's royal cypher, etched to maker "Prosser, maker to the King, London", this is a senior (e.g. 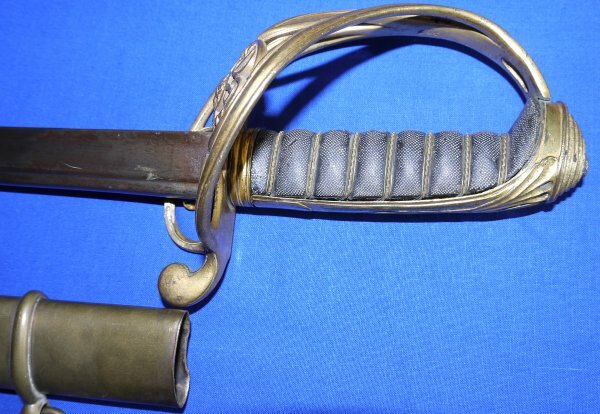 brigadier) infantry field officer's sword, denoted by the brass scabbard (this scabbard is also heavy, not thin brass). Blade still very sharp; this is no dress only sword. 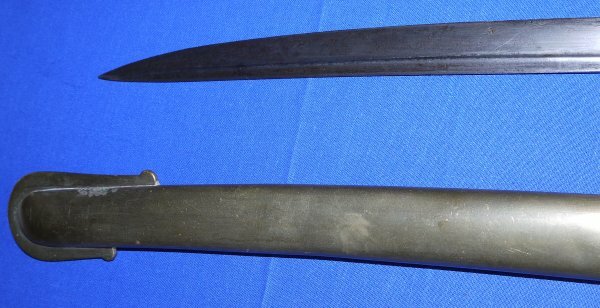 The 32 1/4 inch blade is in aged condition (etching worn, patina throughout and some rust patches) but is sound and some of the etching is still visible (you can just make out "Prosser", "King" and "London"). Blade firm in hilt. The hilt quote good considering it is brass (normally these get bent / broken a lot, but not this one); there is even some gilt remaining. The folding guard section works but is stiff. The fishskin grip has endured less well, with some missing. The twisted grip wire is very good. 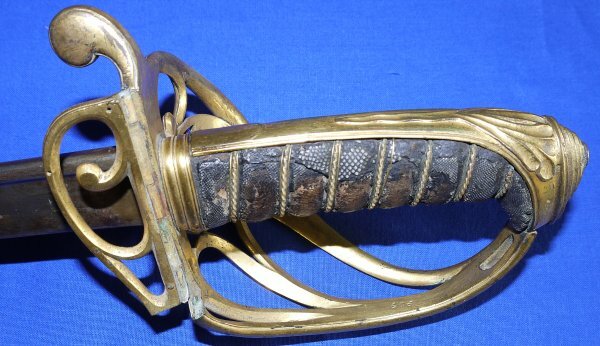 The heavy brass scabbard very good for age but the throat piece is missing, as are the wooden lining slats with means the sword sheathes and draws loosely. 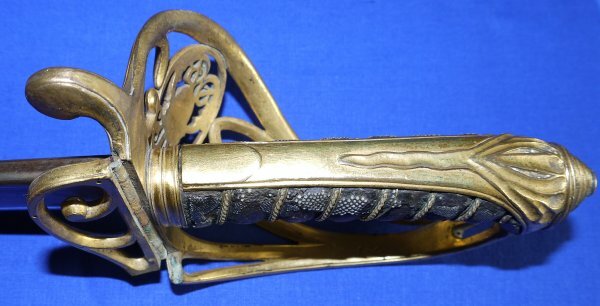 Look, George IV EIC senior officer swords like this are rare. This one has a few condition issues but is generally above average. So, at £? (too late, now sold), it is a collector's bargain. Please quote item reference R29 (0497).